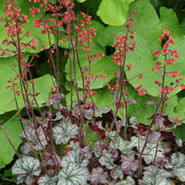 Coral Bells (Heuchera) bloom from early June until the end of August. 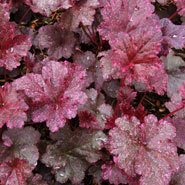 Adaptable to most well-drained soils and varying light conditions. 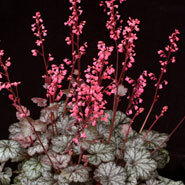 We currently feature 38 varieties.